Smooth collection n good product. Highly Recommend written by mobile Fast delivery, easy to set up. Fast delivery, well packed, easy to use, work well. Good buy and directions for collection was clear. Printer has 1 year warranty by Canon. Have not tested the printer, hope it works fine. Fast delivery and received item well. I received my cp1300, but I didn't find the qoo10 invoice, I need that for warranty claim, may I know where to get this qoo10 invoice ? Q10 dosen't have invoice, For warranty just show the warranty card will do. The ink and paper has to be purchase separately? But only have paper option but no ink option. And if ink and paper used finish? Is it able to purchase in retail shop? Or only can purchase online? we're only selling it in a set. Hi it only have option to purchase 108 sheets but no option to purchase ink? Are you refering to the canon photo paper? If yes, one box of the product comes with 3 packs of 36 photo papers and a catridge per pack. Able to do store pick-up tomorrow, 1 Jan? Sorry, we are closed tomorrow. CP1300 does not comes with any cassette or paper. It has to be purchased seperately. You can take a look at the link below. The photo paper set comes with the cassette and photo paper. It comes with 18-sheet paper tray with postcard-size. Hi I would like to know what is included in the box if I buy the printer? Ink, paper tray, the paper, battery? Pls advise tks. in box comes with paper tray, power cord and power adapter. ink and paper have to purchase seperately. 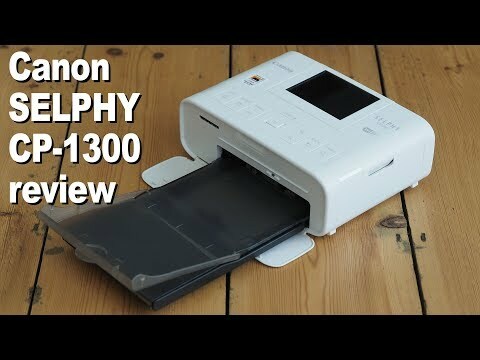 Is the 1-year warranty for Canon Selphy CP1300 covered by Canon Singapore? canon selphy warranty is by Canon singapore itself.